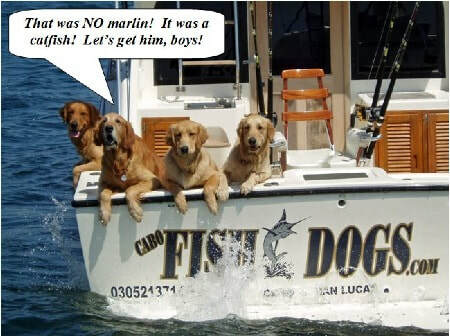 ​A few charter services offer fly fishing but only a couple are very good. The one has been fly fishing for years, initially learning the specialty from Grant Hartman and Baja Anglers, then ultimately going off on his own. I had personally started fishing with Juan in 1993, from a panga he run for a few years, at that time. Fishing was awesome and I recommended him often. You obviously need a guide that understands the fishing techniques, teasing & baiting targeted fish, etc... if you want to be successful ocean fly-fishing. The very limited guides that know the business are paid accordingly. They rent fly rods, sell flies, etc... so depending on the guide, it is he who sets their prices. There's Juan on LaMosca (25' Super panga), and his brother Roberto, which I'm not sure which boat he's running currently? ​LaMosca charters his boat for $300 for 5 hour day, $400 for 8 hour day. ​Fly rod rentals and flies are additional. 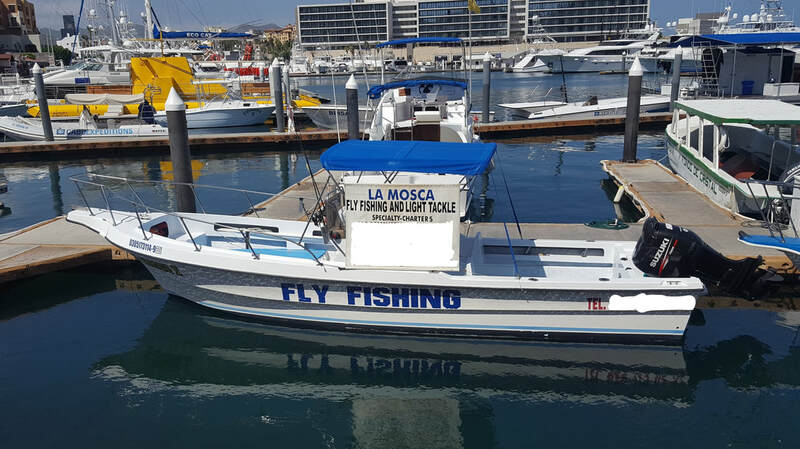 Victor who owns Santi 1 (23' panga)has a good deal of experience and like Juan, years of fishing in Los Cabos. Victor has recently purchased the 31 Bertram Baja Raider so he now runs the Bertram while another captain typically runs the panga. I hesitate to book Santi 1 for fly-fishing for this reason? Victor was $40/hour for fly-fishing and rented fly rods as well. Know that there are a few other captains that say they fly fish however I don't know if they rent equipment of have/sell flies? Juan Ramirez is the captain and owner of LaMosca. 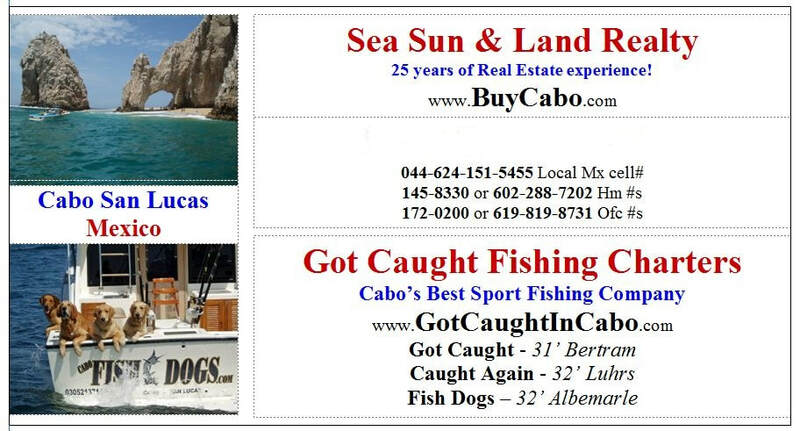 He is an all around fisherman which also includes 10+ years fly fishing experience, and over 25 years fishing Cabo! He is one of Cabo's best fly fishing guides, to say the least. Highly sought out for his services & local fishing expertise. He rents fly fishing equipment, sells flies, and is well prepared and diverse in his fishing. ​ $7 and up for flies. ​Lightweight and standard inshore equipment all included. Victor, owner of Santi 1 panga has a lifetime of fishing Cabo. He has fished with the panga for the last almost 10 years? He ran Baja Raider before the panga and has recently acquired it and running it again. Victor did a few years fly fishing with a guide from the east cape every winter. He's an excellent fisherman and does a good job fly fishing.